Right around 3:40 pm news hit the wires that Brazil’s President Dilma Rousseff will face impeachment proceedings. 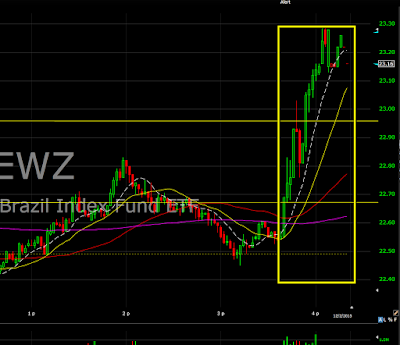 EWZ (Brazil Index Fund) spiked higher. 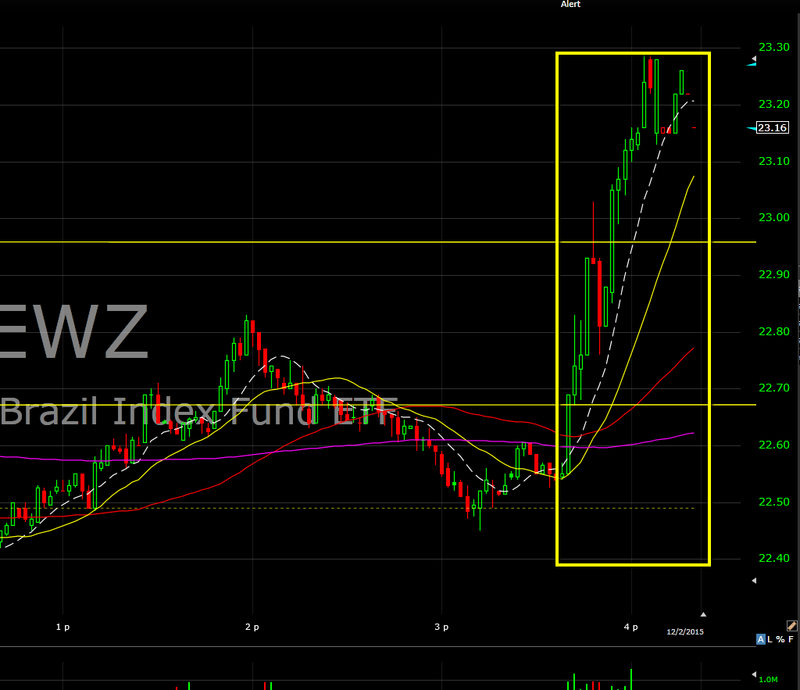 One can assume that based on the immediate reaction that the investment world views the news has positive. 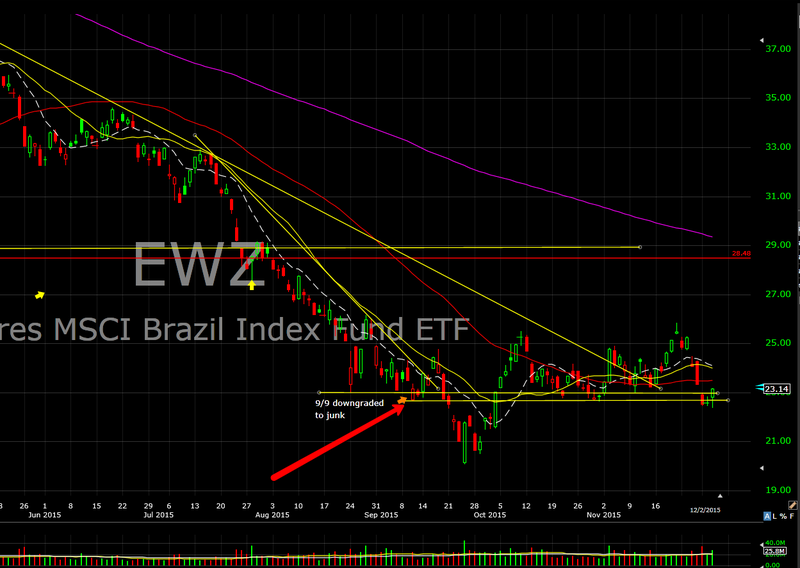 The news comes at an interesting time, there has been some recent heavy call buying in EWZ, and the ETF has held above the low of 9/10/15 which was the day after Standard & Poors downgraded Brazil to junk. 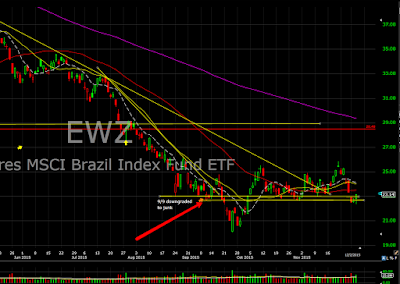 While the impeachment process may take months, the possibility that it might happen could very well be enough to keep a constant bid under EWZ.